Both journals are 5 x 8.25-inches and filled with 240 pages of rule-lined acid-free paper. They have rounded corners, ribbon bookmarks, and elastic closures – perfect for keeping your notes safe and sound. Harry Potter fans will also appreciate the Harry Potter stickers, themed end-papers, and reusable paper band wrapped around each notebook. 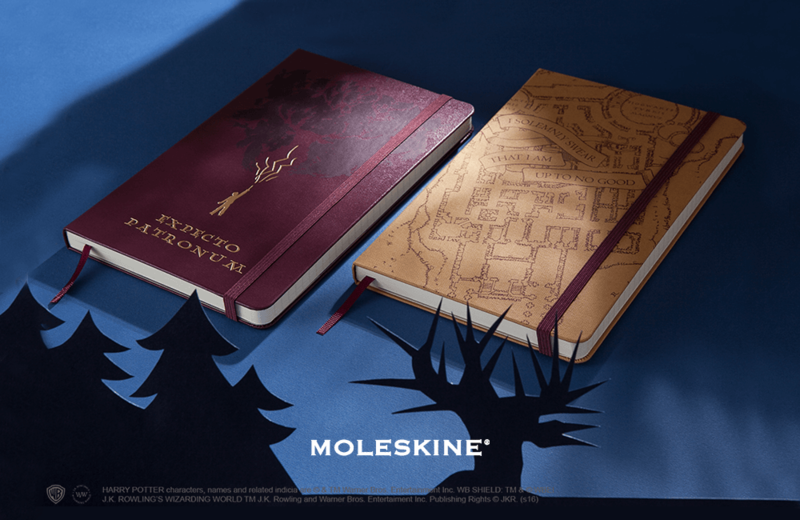 Each notebook checks in at $24.95 USD and will be available directly from Moleskine as well as various retailers. Original wall art meets old-school arcade games in a series of 3D video game shadow boxes from Toronto-based Glitch Artwork. Each week on Toy Tales we feature our Pop Culture Nod of the Week, a post that highlights our favorite modern-day things with a nostalgic flair. In recognition of upcoming gift-giving occasions, here’s a round-up of some of our favorite items from the past year that we think make for fantastic presents.